⚡ See the beauty (and potential danger...) of wilderness. 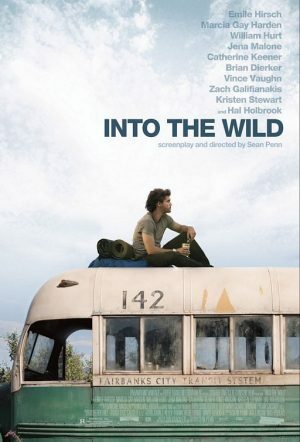 Into the Wild is probably my favourite film. It tells the true story of Christopher McCandleless, an American college graduate who decided to donate his savings to charity, drop everything and adopt a vagabond lifestyle. Although the film could be inspiration for those wanting to travel, it’s also a real tale of warning — just watch the whole way through to see what I mean. McCandleless’ reasons for escape are complicated, based (as far as I can tell) on a difficult family life and a desire to escape from the pressures of society. Although some might be able to relate, few will take such drastic action as cutting themselves off entirely from their family and disappearing. Perhaps that’s what makes the film so compelling. The cinematography is incredible throughout… each of the areas that McCandeless travels through is shown in all its beauty. But the absolute highlight might be the soundtrack… written especially for the film by Pearl Jam lead singer Eddie Vedder, it’s just perfect for the film.